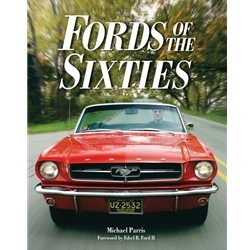 Here are the inside stories of Ford during the Total Performance sixties. This decade brought us the Falcon, the Mustang, Shelby Cobras and motorsports wins from Indy and NASCAR to Trans-Am and LeMans. This all-color classic is a must for your library.